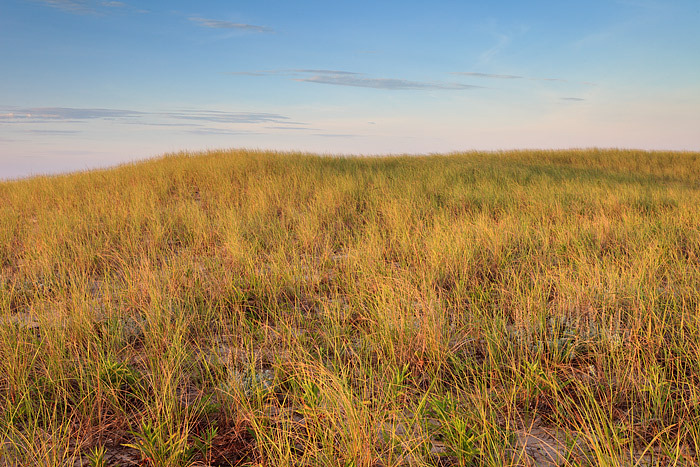 Dune grass shows off it's late Summer golden hue as high wispy clouds skirt over the Ocean and Beach. Just over the rise lies Dune Beach. Photo © copyright by Thomas Mangan.